We’ve been waiting for the animals other than Kaa to get significant dialogue in Jungle Book forever now. And we’ve finally got it. Bill Murray’s Baloo is great. Christopher Walken’s King Louie is... Christopher Walken. 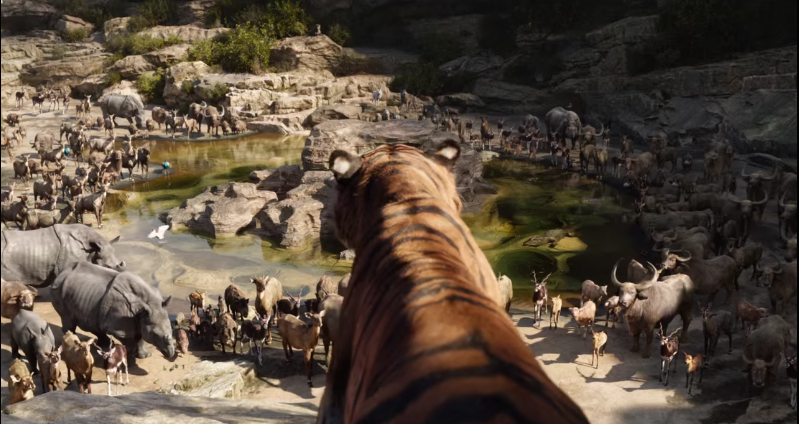 Disney seems to be referencing another animal movie of theirs with Shere Khan’s animal assembly. Just saying.